I followed the instruction. Still, I am getting the same error message. I have tried - ./sdkmanager --licenses But no success. Problem was with sdk path in local.properties. By default its pointing to different location. 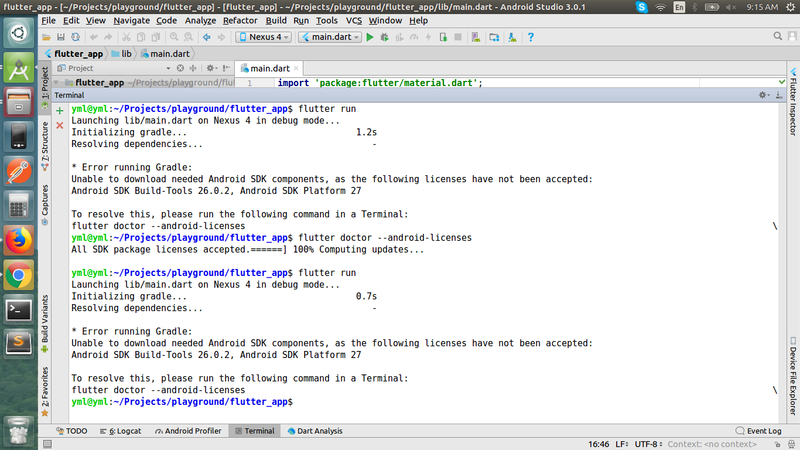 Once I changed sdk.dir to my Android SDK path, it worked fine. I am able to run the app now. Not the answer you're looking for? Browse other questions tagged android flutter or ask your own question.